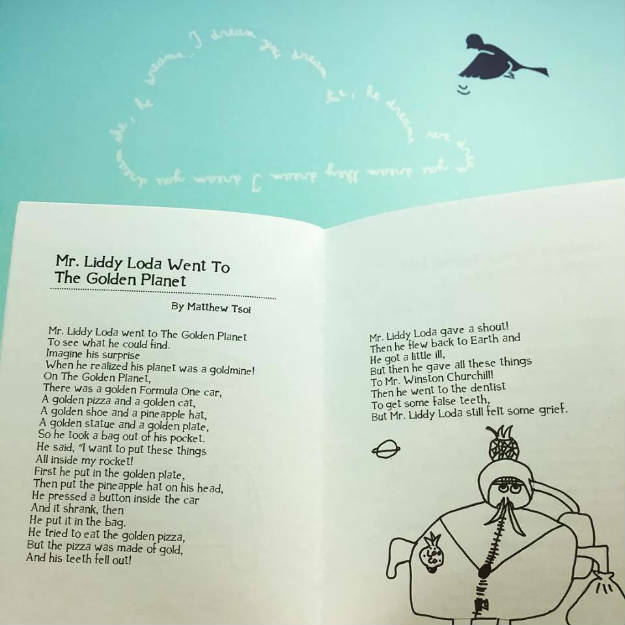 In honour of National Poetry Month in April, here's a lovely litany that we published back in 2011 by then 7-year-old Matthew. Litanies, also known as list poems, typically catalogue a long series of items and often include repetitive phrases or ideas. What makes a litany MORE than just a list then? The careful selection of words and phrases, the sequencing of ideas, and the use of the list to tell a story, describe a scene or convey a feeling. Here, the poet has not only created an interesting character and setting, but is also playing with alliteration, rhyme, repetition and line breaks! Why don't you follow his lead and give it a try?